The freshly redesigned 2018 Volvo S60 in Plano, TX boasts some impressive features that many modern car buyers are sure to fall head over heels for. Each available engine provides a smooth, powerful ride with fewer stops at the gas station required. Ergonomically designed seats add luxurious padding and heating, making sure your drives are as extraordinary as they are pampering. Additionally, the sedan's high-tech safety features offer incredible peace of mind throughout all of your journeys. 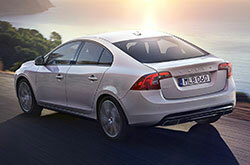 All wrapped up in a beautiful package, the new S60 is the new sedan you deserve. Continue reading our 2018 Volvo S60 review for further details. The 2018 Volvo S60 near Dallas is offered in four different trim levels, starting with the two standard-wheelbase models: T5 Dynamic and T6 AWD R-Design Platinum. The long-wheelbase trim levels are the T5 Inscription and T5 Inscription Platinum. With so many options, you are sure to find the perfect match. The sedan's standard Sensus Connect system allows you to keep connected no matter where you are; the feature comes highly praised by many 2018 Volvo S60 reviews. 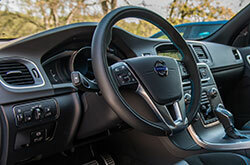 Navigation is fully integrated within the car, allowing you to use a separate SIM card via Volvo OnCall or connect via Bluetooth from your mobile device. As you move higher up the trim levels, you'll find that gorgeous 19-inch wheels, paddle shifters and a 12-speaker Harman Kardon sound system are also available, allowing you to listen to your favorite tunes in style. The T5 Dynamic and T5 Inscription grades employ a 2.0-liter turbocharged four-cylinder that puts out 240 horsepower and 258 pound-feet of torque. The energetic engine is matched to a smooth eight-speed automatic. Select trims employ a 2.0-liter turbocharged and supercharged four-cylinder, which increases output to an impressive 302 horsepower and 295 pound-feet of torque. With two solid engines to choose from, there is no doubt your drives will be memorable, whether they're part of the everyday run-around or special road trips. Visit us to experience these world-class powertrains firsthand! The new S60 comes fitted with a plethora of driver-assist technologies, including Adaptive Cruise Control with Queue Assist, Anti-Lock Brakes, a Blind-Spot Information System and Cross Traffic Alert. There's also City Safety Collision Avoidance Technology, Collision Warning with Full Auto Brake and Pedestrian and Cyclist Detection. The ISOFIX/Latch child safety seat is now integrated into the car's body structure, making it easy to install, adjust and remove seats. Additionally, an engine immobilizer, theft-protected locks and keyless drive help keep your vehicle safe while you're away. Finished with our 2018 Volvo S60 review? Visit our dealership in Plano, TX for additional information. We hope to see you soon! 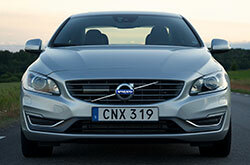 Want More Info on the Volvo S60? Don't just think about the 2018 Infiniti Q50, Acura TLX, Audi A4 and the Mercedes-Benz C-Class when on the hunt for new vehicles near Dallas; also be sure to take a quick look at the alluring 2018 Volvo S60. 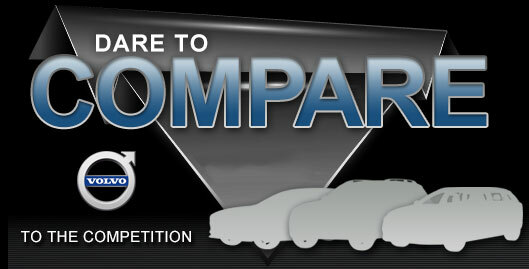 Its cabin features and winning exterior design might just seal the deal if you're looking at a plethora of cars. Take advantage of our review and try out the comparison tool to see if the 2018 Volvo S60 is right for you. Also, view factory offers while you're here! 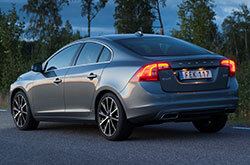 For new and quality used cars, visit us to find a fine selection, which includes the newest edition of the Volvo S60. It's important to make a responsible choice when buying a car, and we hope our 2018 Volvo S60 review assists you when it comes to this. 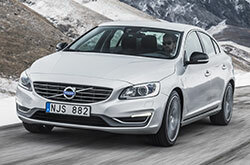 Check out new Volvo S60 models at Crest Volvo Cars - submitting a request for a test drive on our website is simple using our email form. Also, take a few minutes to watch our walkaround video, which highlights the car's spectacular interior features!